Tesla is banking on sonar tech to convince the world self-driving cars are one hundred percent fool proof, while Volvo has gotten into bed with safe-pair-of-hands Autoliv to achieve the same goal. In its latest update, Tesla has been focusing more on safety than ever before, following a fatality during a recent road test. Understandably so, for many reasons, not least because the success of self-driving cars lies firmly in the hands of nervy consumers. In something akin to Batman’s sonar vision in classic batty (as in bat-like) action movie The Dark Knight, Tesla’s software Version 8 update will be using sonar pings to create a recreation of the world surrounding the vehicle. The sonar ping will stretch up to two cars ahead and can amplify itself off big metal surfaces to tell in real-time if the metaphorical is about to hit the fan. 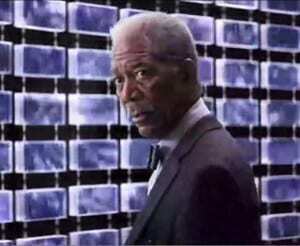 We wonder if Morgan Freeman will be more impressed with this than he was by Bruce Wayne using everyone’s smartphone as his own personal bat-ping. He wasn’t happy about that, oh no. Tesla says the radar will be able to see people, cars and general obstructions and by pinging every 0.1 seconds it can capture all of this information and process it quickly enough to make near-instant decisions. The tricky bit, accordingly to Elon Musk’s empire, is to make it see more like a human being and distinguish between tin cans, children, sofas and other vehicles; a problem we’ve all no doubt had at some point. Tesla did provide a bit of a weird comment about the project, in keeping with its owner’s own eccentricity. Speaking of radar, Volvo’s new partner is a specialist in just that. Autoliv says its sole purpose for existence is to be the “leading” (*shudder*) supplier of safety systems for the future of autonomous cars. The two are teaming up to create a JV dedicated to making the self-driving car as safe as possible. Volvo also launched a project called Drive Me, and proclaimed it to be “the world’s most ambitious and advanced public autonomous driving experiment”. Nothing’s more reassuring to those of a nervous disposition than the words public, driving and experiment. Here’s the funniest and most exciting video you’re going to see this week, and it’s only Monday.